A group of college students led by Gregg Garner, including Robert Munoz and Jason Roufs, organized the distribution of groceries to low income families, while simultaneously putting on sports clinics for teenagers, musical entertainment for adults, and carnival-type games for kids. These were the first, official community service projects/programs, facilitated by the organization at the onset of its activity. 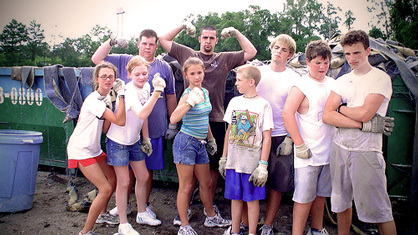 Over 10,000 volunteers have participated in community service work through our organization. We have provided tens of thousands of hours in labor, and hundreds of thousands of dollars in labor and services. 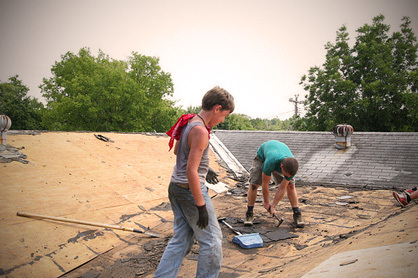 Services range from low-skill activities performed by teenagers like litter removal and landscaping, to high-skill service activities performed by professionals such as building renovation, construction and community garden initiatives. Distributing food and clothing to people in need is always such a life-giving activity for both the participant and recipient. The act not only began to characterize our organization in its formation, but also shaped the character of each individual participant. The act of charity was a gift to everyone involved. Since the 90's, our community service efforts have taken us coast-to-coast; from Los Angeles, California to Daytona Beach, Florida. G.O.D. 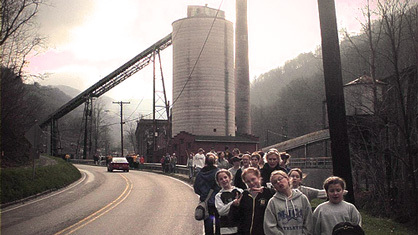 Int'l has facilitated service amongst the impoverished of the Appalachian mountains, the immigrant populations of factory towns throughout Tennessee, the homeless in Oklahoma City, and the refugee communities outside of Columbus, Ohio. Today our capacity as a community service organization has expanded to serve the needs of the elderly, disabled, mentally challenged, refugee and immigrant communities, pre-school, elementary school, adult-illiterate, at-risk youth, and low-income families. Our most frequent service takes place in the greater Nashville area, but we also mobilize and facilitate such programs for multiple regions of the United States. When confronted with the challenges of an environment, some people make a difference from a distance; we moved into the neighborhood. See how our organization is participating in the redemptive transformation of a notoriously troubled neighborhood in Nashville. There are far too many places with needs and far too many things to be done for any one organization to handle them all. So, with 18 years of experience, we mobilize groups of friends, churches, schools or associations, to meet such needs for these people. Most needs can't be met on a Saturday. So, our organization serves to ensure that long-term needs can be met. We do this by ensuring there is a regular rotation of help through our programs that adopt a cause and see it through to completion. In an interview about Community Service, Gregg shares his thoughts describing the service approach of the organization.